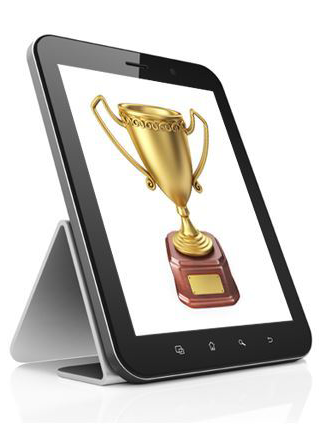 The Ralph E. Gomory Award for Institution-Wide Quality Online Educationis presented by the Online Learning Consortium to an institution that that has designed and implemented an outstanding and comprehensive online learning program. It must demonstrate its commitment to assessing and improving the quality of its online education programs through quantitative application of the Quality Scorecard or the OLC Five Pillars that include learning effectiveness, cost effectiveness, access, student, and faculty satisfaction. The recipient is selected based upon the innovative nature of the metrics being used to assess quality, as well as the demonstration of continuous quality improvement based upon these metrics. In addition, the scale and breadth of the institution’s online programs should be substantial. 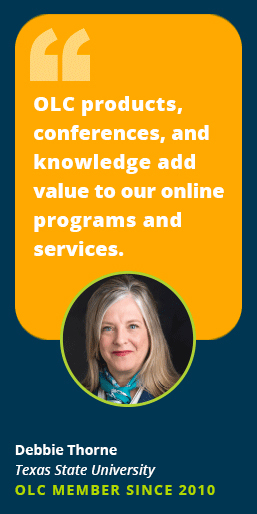 The ideal recipient is an institution offering high quality multiple regional or national online learning programs in diverse disciplines, including degree, certificate, and continuing education programs. This award consists of a commemorative plaque and a check for $5000. The monetary award is to be used by the recipient institution to fund “Online Learning Consortium Gomory Scholarships” to students enrolled in its online programs. Demonstration of High-Quality Programs: The institution has demonstrated how its programs are high quality through course design and learning outcome statistics. Commitment to Continuous Quality Improvement: The institution has demonstrated its commitment to assessing and improving the quality of its online education programs through quantitative application of the OLC Quality Pillars or Quality Scorecard, through quantitative metrics. The nomination provides detailed information of how quantitative data has been used and (and is being used) to improve the online program. Scale and Scope of Offerings: The institution offers multiple, high-quality online learning programs available on a regional or national scale in a proportion consistent with the institution’s scope and scale. 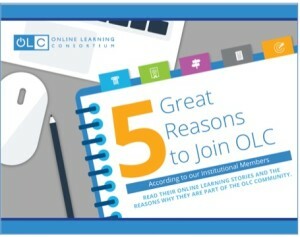 Supporting Letters: Five supporting letters that address the institution’s commitment to quality, scale, and breadth of its online educational programs and a quantitative process of continuous quality improvement. It is important to have supporting letters from senior administrators and faculty. An overall summary of the institution’s online program, with an emphasis on quantitative metrics used to measure program quality. A detailed description and specific examples of the how the institution uses quantitative data in each of the five pillar areas to assess and to improve the quality of its online teaching and learning programs. A proposed award citation (25 words or less). Three letters of support, including letters from at least one faculty member and one administrator. Please complete the form to learn more about becoming an institutional member.